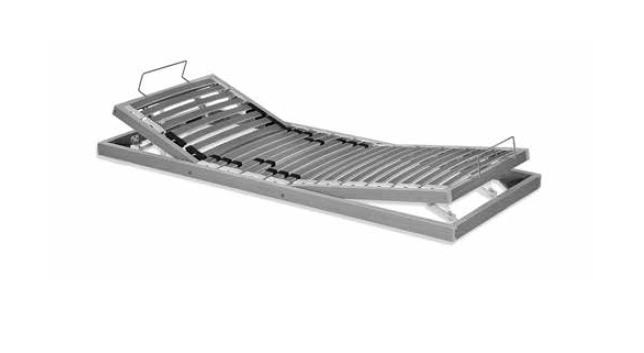 Slatted bed base with antistatic wooden structure. Base comprising 28 highly flexible slats produced by laminating measuring 38 mm (0,15”) (less than the standard width), fitted on special rocking mountings in high-memory rubber. Features system for adjusting firmness in the lumbar region. The upper back and lower limb zones feature a manually adjustable action so that you can find the most comfortable position.